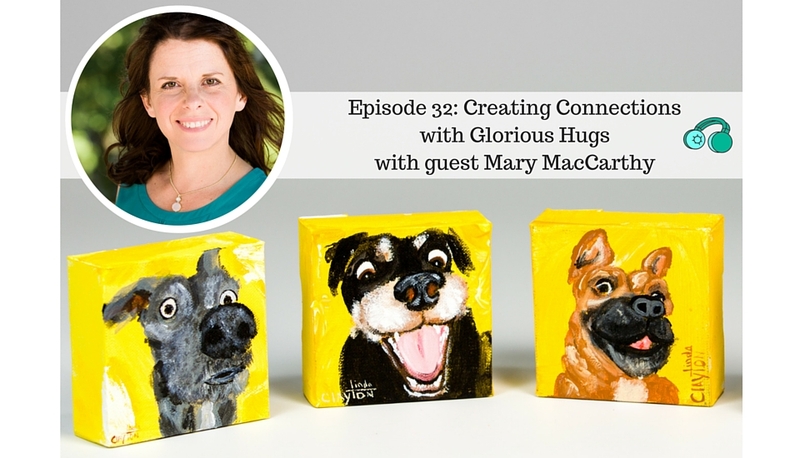 Today’s interview is with Mary MacCarthy of Glorious Hugs. 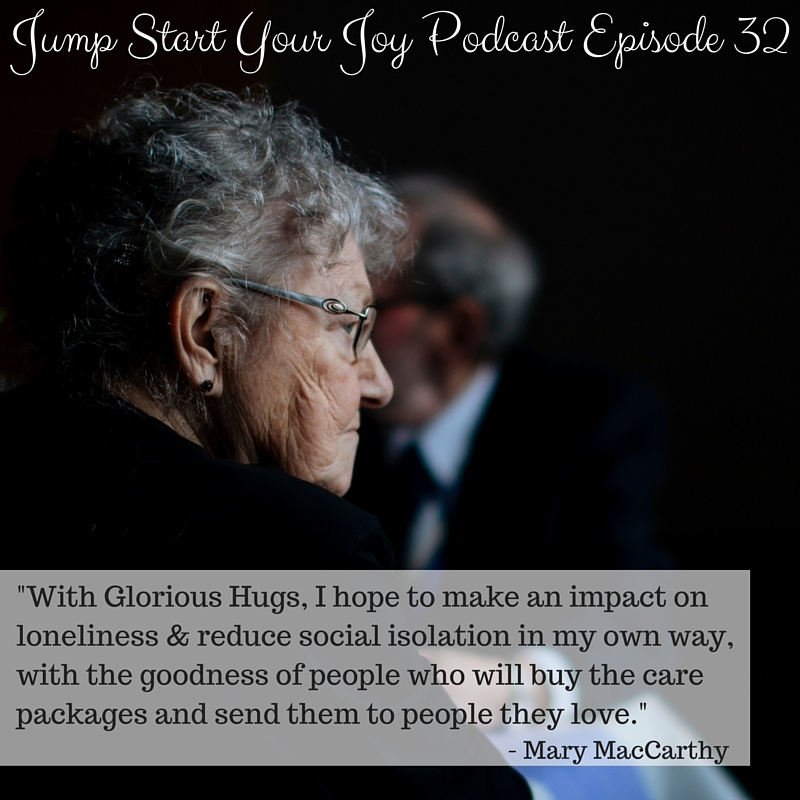 Mary is the CEO, founder, and hug liaison at Glorious Hugs, a company that creates beautiful and joyful caring packages for older persons. I was immediately touched and inspired by Mary’s mission with her company, which was named after her grandmother, Gloria. Founded in 2015, Glorious Hugs partners with local Twin Cities artists to create unique, custom gifts full of engaging elements to send to seniors; the idea is that when you choose a gift for your loved one, there are also other items for them to interact with. From a handwritten note, poems, discussion questions, a blank stamped postcard to mail, and cookies, the package is filled with things to inspire, to share with others, to inspire conversation, and to spark deeper connections. The idea all started with Mary digging deep and crafting a business she loves, based on her experiences with visiting her grandmother as she grew older. 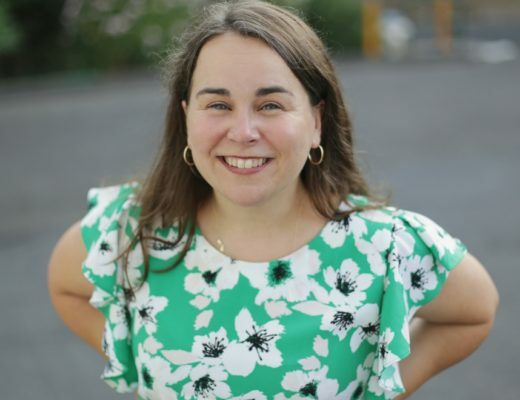 I really enjoyed meeting Mary; her sense of connection, of truly wanting to embrace each person and each client is inspiring. 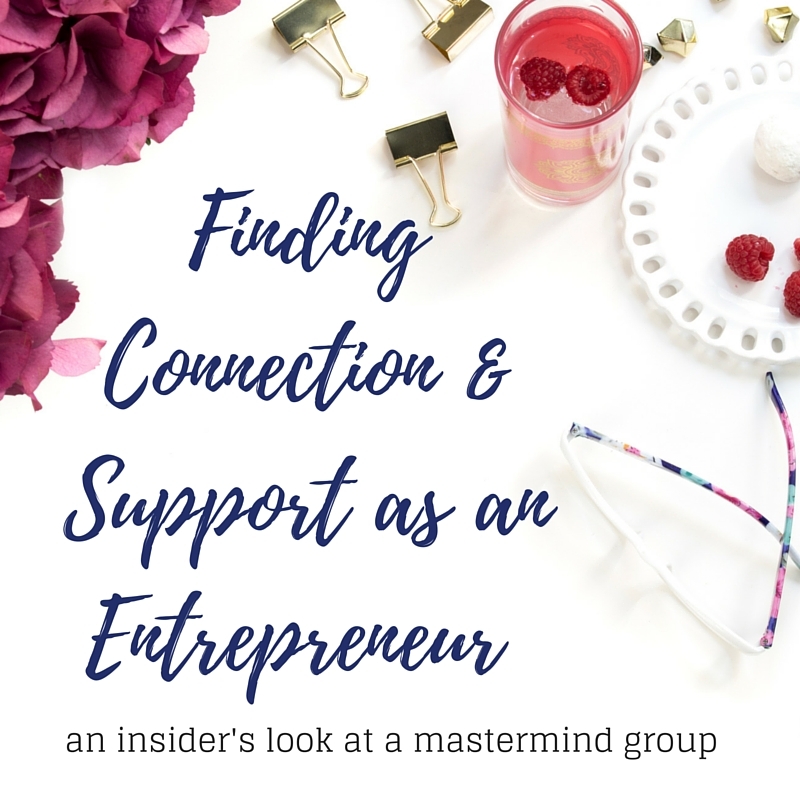 Connection is truly at the heart of her business, the connection between gift giver and recipient, the connection Mary has with each gift (she transcribes a personal note to the recipient), and the connection Mary maintains with the artists that make the pieces that are available. There’s a lot of love in each aspect of her inspired business. (5:00) How her relationship with her grandma, Gloria, inspired the business, based on the visits she would make to see her. She and her daughters loved their visits, but found they’d run out of things to talk about with her. Wanting to solve this was part of the inspiration for Glorious Hugs. (7:00) New sources of inspiration to start conversations with seniors, and the questions that come up with visiting an older person out of having a new piece of art. (8:10) How Glorious Hugs works (you get to pick a piece of art and Mary helps build a package for your loved one around it). They include original art, poems by a local poet, baked goods from a local bakery. 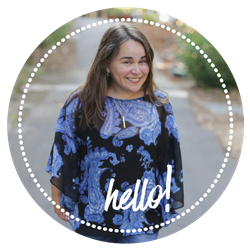 (10:00) How Mary’s background in medical devices and marketing helped prepare her to create Glorious Hugs. (11:00) The impacts of depression, loneliness, and social isolation on seniors, and how society can do a better job of supporting seniors. (12:10) The beauty of seeing so much love in the world, and getting to write the notes for each care package. (13:00) A special memory of one gift being sent from a son to his mother, who was a former school teacher. (14:30) The way that connection became a cornerstone for Glorious Hugs and the work Mary wanted to do with her business. (16:30) The nature of all of humanity being connected, together, and supporting one another. (17:00) The balance of each person choosing the respectful and loving thing to do in a larger society, even though we are bombarded with negative events, people, and messages throughout the day. (18:00) How Mary selects the artists that she works with. (19:20) Specifics on why the artists she works with really love working with her, and how the partnership creates a win for all parties. (20:30) Touching stories from the artists, and the older people in their lives. (21:40) Mary’s inspiration for the series of videos on YouTube, introducing the artist she works with. (22:40) How we are both “huggers” and why we love giving hugs. (26:00) Mary’s experience of a joyful bike ride through the streets of San Francisco, and how she recognized, in the moment, that she was filled with joy. 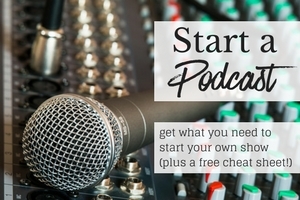 (30:00) In looking at authenticity, re-considering the company you work for. Are you “on the right bus”? (32:45) Mary’s thoughts and advice for brand new entrepreneurs, looking back on her first year on this journey. (34:00) How you can help or reach out to the elderly: Check in on them, get involved with non-profits that help the elderly. (36:00) The growing trend of needing more senior care nurses, as the elderly population grows and moves into care facilities, and the impact on society. (38:00) Be the change in your own neighborhood, and make connections. (38:40) Ideas on how to celebrate your Mother on Mother’s Day. (40:30) Mary’s thoughts on how to bring your dream into action. This sounds really interesting. I’m going to bookmark this so I can listen to the whole thing when I have more time. I’m really interested in y’all talking about how society thinks we shouldn’t display joy too much. I love this! Adding it to my to listen list for when I am gardening and cleaning around the house. Thanks! What a brilliant idea and an inspiring story. It’s nice to see someone bringing happiness to seniors. Awesome story. I’m bookmarking it for my 3 hr drive tomorrow! I like that Mary’s business is about connection rather than profit. It is rare you find companies like that now. Sounds awesome. 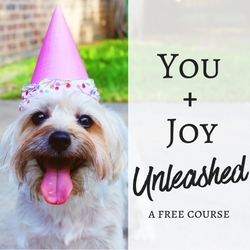 I think we can all use more joy in our lives. Period. Every time I hear your podcasts it makes me want to make my own! I love Mary’s business/mission! Bookmarking this! I want to share it with my mother in law and my mother. My mother works with seniors and trying to find the joy in their day is so important. The name of the bussines Glorious Hugs is already say it all. Love the rason why Mary build her bussines. Your podcast always encourage me to make my own podcast. I make some series of podcast a few years ago. Maybe I should start it again. I love this and I will definitely come back to listen later today! Thank you! This podcast helped me do laundry today. It made the time fly. What an inspirational story! I always love listening to interviews. They are a great way to learn more about someone. This one was great, Mary seems like a wonderful person! What an absolutely wonderful idea. Families are so separated, older members can sometimes feel isolated and lonely. What a wonderful way to bring a little happiness. Such a great story, and awesome idea! I need to start writing down all of my ideas. She seems like such a lovely person. It’s refreshing to see someone / a company devoted to seniors. This sounds like such a great idea and cause. Too often the elderly are not paid enough attention. This is such a wonderful idea for a business that essentially gives back to a demographic that I feel is underserved and often overlooked. I love this concept! Awesome topics. I will have to listen more when I don’t have a screaming baby in the background.